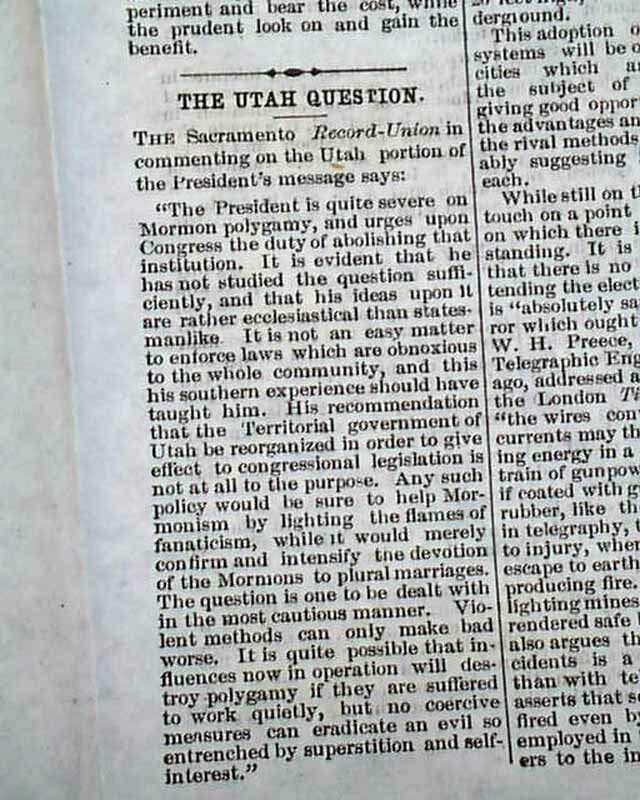 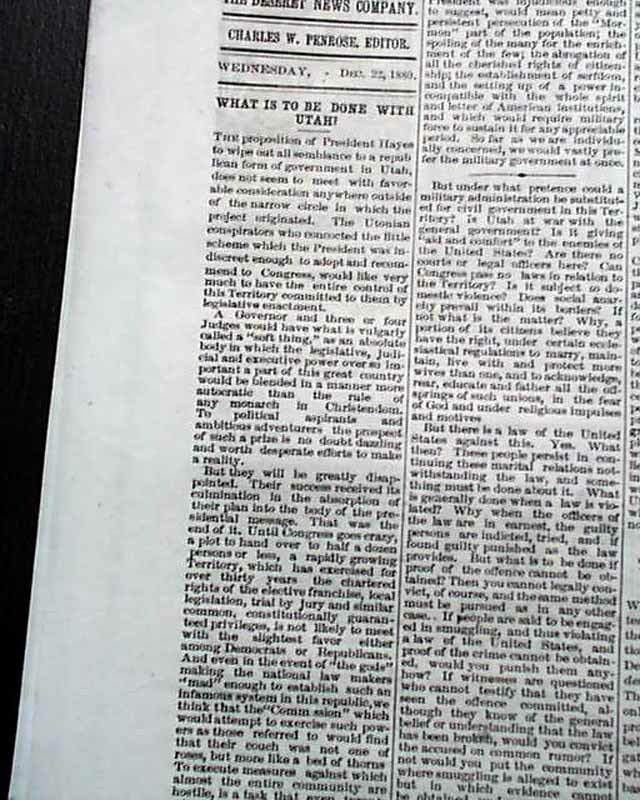 THE DESERET NEWS, Salt Lake City, Dec. 22, 1880 Inside has an editorial: "What Is To Be Done With Utah?" 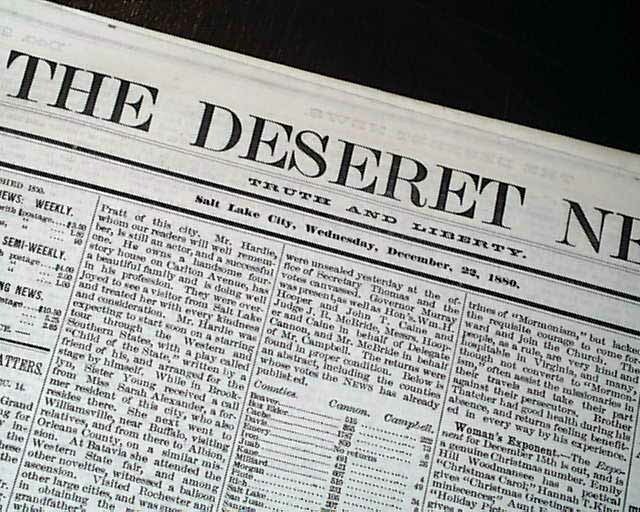 Other articles include: "Two Men Killed" "A Word or Two on Religion" and "The Utah Question" which includes: "The President is quite severe on Mormon polygamy & urges upon Congress the duty of abolishing that institution..." with more (see). 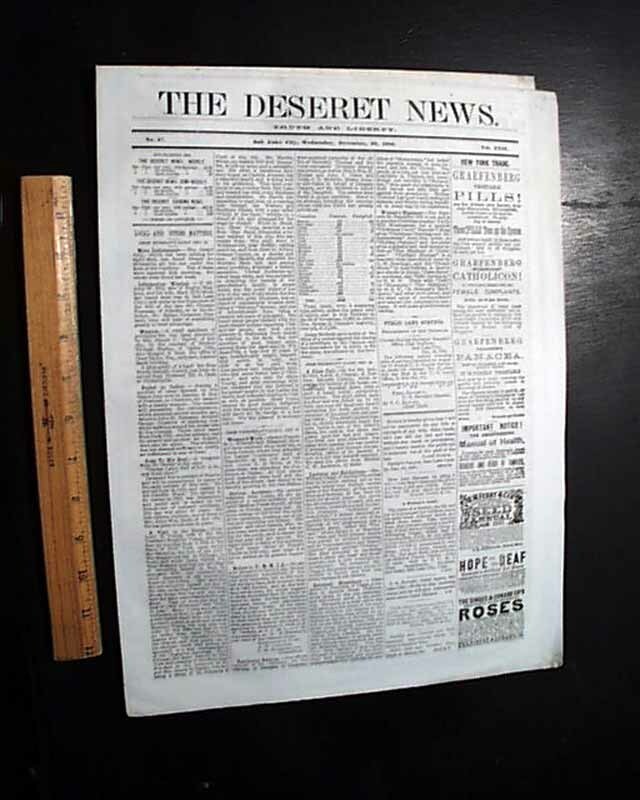 Sixteen pages, never bound nor trimmed so it folds out to one large sheet, great condition.